If you’re looking for the best dating website for interracial couples, we’ve created a list of the top five websites to help you find your perfect match. AfroRomance realises that love is more than skin deep, so does its users. Whilst many websites will charge registered users to use basic features, with Afro Romance most features are available with free membership, even the group chat rooms. Upgraded members will be able to access the Instant messaging and webcam chat features and even host chat parties of their own. No one likes a poorly formatted website, so with an appealing design it’s easy to see why there are so many registered users. There’s a great track record of success stories which you can read before signing up. The website even offers a free profile review service to makes sure you have the best chance of standing out from the crowd. 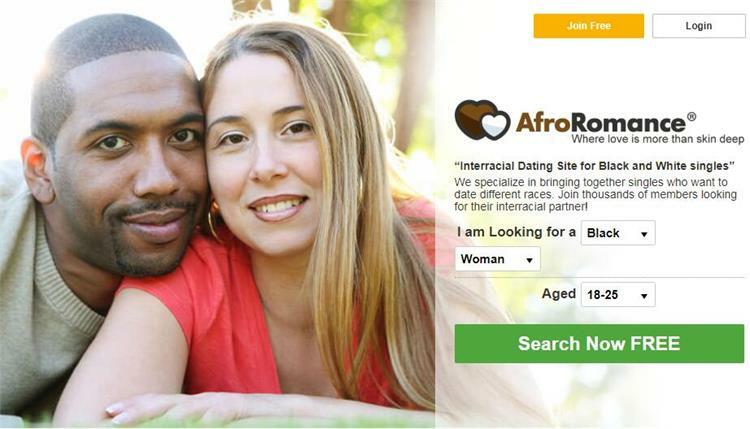 Even though many have used Afro Romance to connect, the biggest downside of the website is that there is no matching system to check your compatibility. Your matches will be completely random and it’s down to yourself to find out the perfect match, it may be harder to determine whether someone is a perfect match as the website doesn’t ask users to fill out essay questions, so you might have to put in a bit of extra legwork to find the perfect match. InterracialMatch has long been hailed as ‘the original’ interracial dating website since it started welcoming users in 2001. Now that internet dating is the norm, it’s bigger than ever. The site gives you plenty of options to refine your search for the perfect match. With hundreds of new members joining each day you’re sure to find someone with the same values as you. With a 24/7 support team you can be sure that your queries will be answered straight away. The site is also dedicated to running a safe service which is why all members are verified before being visible in the search options. A lot of dating website users have come to expect a video chat feature to help connect with future partners, sadly it is not included on Interracial Match. Whilst you can refine your search in many ways, you’re unable to see the date users last logged in which may lower your chances of getting a reply on the site. Whilst many websites are committed to helping you find singles in your local area, Cupid specialises in helping users to find their soulmates overseas. With over 7 million users you can be sure that there will be a match ready and waiting for you to join wherever in the world that may be. With the websites dedication to bringing nations together, you can be sure to connect with genuine, like-minded users looking to welcome you into their culture. From the user reviews of the website it would see, that many users ran into billing difficulties after subscribing to the trial membership fee of $2.99, there are also many concerns based on how genuine the profiles are with many people suspecting scam bots are behind the profiles. Make sure to read the billing information carefully before subscribing to the paid service and be extra careful when you’re connecting with users on the site, do not to give away any personal information straight away. Whilst Adults isn’t only for interracial matches, it is still regarded as one of the most prestigious websites to find your soulmate or whatever it is that you’re looking for. The site has previously been seen on Channel 4, ITV, and many more TV channels. Despite its name, Adults isn’t a site which exclusively welcomes people looking for hook-ups or one night stands. Adults lets you choose exactly what you are looking for, and with a rich black community there’s plenty to choose from. The objective of the site was to develop a place which could become an online community where like-minded people could make meaningful connections. You’ll need to pay to read your messages, which means that to get any benefit from the website you’ll need to pay a subscription fee. The trial is also a rolling contract, which may make it harder to cancel if you’re unhappy with the service provided by the website. The Black Dating Cafe isn’t a place exclusively designed for dating, it is also a powerful social tool which can help you to find meaningful connections based on your own interests. If you’re new to internet dating, there are even ice breaker tools to help you to dip your toes in the water. As the website is pretty fresh from its inception, you may find it a little harder or have to go further afield to find your perfect match, however, with its unrivalled security measures and free sign up The Black Dating Cafe still holds a lot of promise for those looking to meet their soul mate.